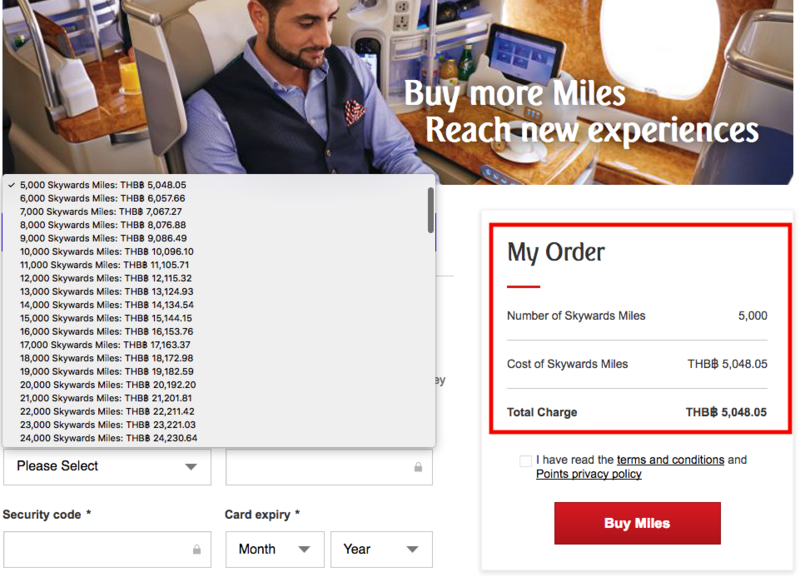 Reader Question: Did Emirates Pull Their Current Buy Miles Promotion Prematurely (Advertised Until 12th February 2019)? We got a Reader Question today concerning the purchase of Emirates miles into an account which was supposed to be eligible for their 25% buy miles bonus promotion that was advertised to end by the 12th February 2019 (today). The reader forwarded the email and I checked the T&C of the promotion as well which indeed says that the promotion wouldn’t end before midnight today, the 12th yet they have apparently pulled the plug. It’s really strange as the points promotions are usually handled in the way they are advertised unless there is a gross error involved which doesn’t seem to be the case here. Emirates points purchased are handled by points.com which processes all payments. To learn more about Emirates and Skywards you can access their website here. Hi, I was just about to buy some EK miles per the email offer attached. I looked at this last week and it was ok, displayed the discount properly but I couldn’t buy yet due to reconfirmation of my travel plans. The promo was supposed to go until midnight the 12th but when i tried to buy tonight 11th Feb it won’t display any discount anymore. Did EK discontinue this? The Promotion commences at 00.01 GST on 29th January 2019 and closes at 23.59 GST on 12th February 2019 (“Promotion Period”). Indeed the discount doesn’t show here. I tried my own account and nothing either. This is really strange and makes me wonder what Emirates or points.com did here that the promotion was pulled early. Hard to say at this point when that actually happened considering Sarah claims she checked last week and was given the discount. The programs have the right to end their promotions whenever they want which is usually firmed up in their T&C but it’s very unusual for a regular mileage sale that this happens intentionally. I can imagine someone programmed the promotional period incorrectly or their interpretation of “BY 12th February” misaligned with the description in the T&C of the promotion. This is very unfortunate for the customer who counted on being able to still buy miles today (which actually makes very limited sense but I’m sure she did the math herself).